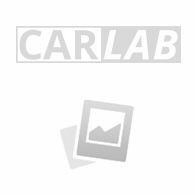 Mercedes E-Class A238 Cabrio 2017- wind deflector, ready to fit your car. By placing a wind deflector you prevent irritating neck wind while you are driving. This gives you a better experience while driving a convertible and you can drive longer distances more relaxed. With a convertible wind deflector, also called a convertible wind deflector, you can also drive higher speeds in a comfortable way.